Over the last 10 years, the rapid growth of the solar industry has demanded attention. Large agencies such as Tesla and the European Union are embracing solar as the wave of the future. From solar panels on rooftops to solar street lights, the solar is now a major player on the world stage. With all this talk about solar, have you ever wondered how a solar panel actually worked? Here’s a little introduction on what solar panels are and how they work. Depending on the system type, application, and site location, a solar-powered system consists of different parts. The main components are solar PV panel, LED light, solar charge controller, inverter, battery, and pole. Solar PV panel consists of photovoltaic cells that are wired together and convert sunlight into direct current (DC) electricity. Solar charge controller regulates the voltage and current that is coming from the solar panel. It uses the panel to charge the battery, keeps it from overcharging and prolongs the battery’s life span. Batteries store the energy that can later be used to supply lights and various electrical appliances when there is a demand. LED light provides high-quality illumination using energy produced by solar panels. Solar panels are one of the main components of a solar outdoor lighting system. While there are several types of solar cells, typically that are comprised of multiple small grouped units called photovoltaic (PV) cells. These cells are made of two layers of semiconductor material typically comprised of silicon crystals. Because silicon is a poor conductor of electricity, the bottom layer of photovoltaic cells is doped with boron, which facilitates a positive charge (P). On the other hand, the top layer is doped with phosphorus, adding electrons with a negative charge (N). Electron movement between the two layers with opposite charges produces an electric field. Most PV systems are based on individual square cells that produce very little power, which is why they are linked together as panels or modules. During solar panels installation, solar panels can be used individually or wired together into larger solar arrays to produce the desired electrical output. Solar PV system uses photovoltaics (PV) to transform sunlight into electricity. Solar-powered photovoltaic panels, also called modules, contain photovoltaic cells. These cells convert incoming sunlight into electricity that can either stored for later use or directly supply a home or a business with renewable energy. Solar energy is a clean and reliable source of electricity that has a vast range of applications. With its high rate of return, solar is considered a great investment opportunity and is now being embraced by many industries across the board. PV cells convert sunlight into electricity. When particles of light called photons hit the surface of a solar cell, they knock electrons loose from their atoms. When positive and negative charges are separated, an electric field occurs. As electrons flow through an electrical circuit from one layer to another, they generate a flow of electricity. After the panels convert the energy to direct current (DC) electricity, an inverter converts it into alternating current (AC) electricity. Alternating current is the type of electricity that consumers use when they plug their appliances into a wall socket. Only after it is converted to AC, electricity can be delivered to a business or a residence. With modern technology, large corporations and municipalities are embracing solar and are investing in this growing infrastructure. Photovoltaic cells require no maintenance, produce no greenhouse gas emissions, and are environmentally friendly. They are also easy to manage as they turn off and on automatically. Solar panels provide enough electricity both on sunny and cloudy days, and charge the batteries that can later power your residential or commercial solar lights during the night. With current technology, most solar systems use LED lighting as opposed to commercial for the advantages in technology. 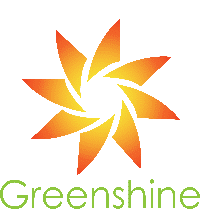 Greenshine New Energy LLC. has more than a decade of experience in developing and manufacturing solar-powered lighting solutions for different lighting applications. As a renowned company with a team of skilled and experienced engineers, we can assist you with designing and integration of our high-quality products, such as street lighting, solar park lights, pathway lighting, parking lot lighting, etc.